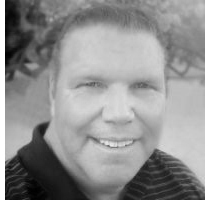 Dave Rimington has served as President of the Boomer Esiason Foundation in New York City since 1995. Under his leadership, BEF has instituted and developed a variety of educational programs, scholarships and new media initiatives that have directly benefited cystic fibrosis communities nationwide. Prior to his arrival at BEF, Rimington enjoyed a prosperous football career at the University of Nebraska and in the National Football League. As a college player, Rimington was twice awarded the Outland Trophy, which recognizes the game’s most outstanding lineman. In the NFL, Rimington spent the 1983-1988 seasons with the Cincinnati Bengals before finishing his football career with the Philadelphia Eagles in 1989. Widely considered to be the greatest center in the history of college football, Rimington continues to give back to his home state of Nebraska. Proceeds from such programs as the Rimington Football Camp and the annual Rimington Trophy banquet directly benefit the cystic fibrosis community. Rimington has served on the board since the beginning and the Rimington Football Camp directly benefits the children we serve.